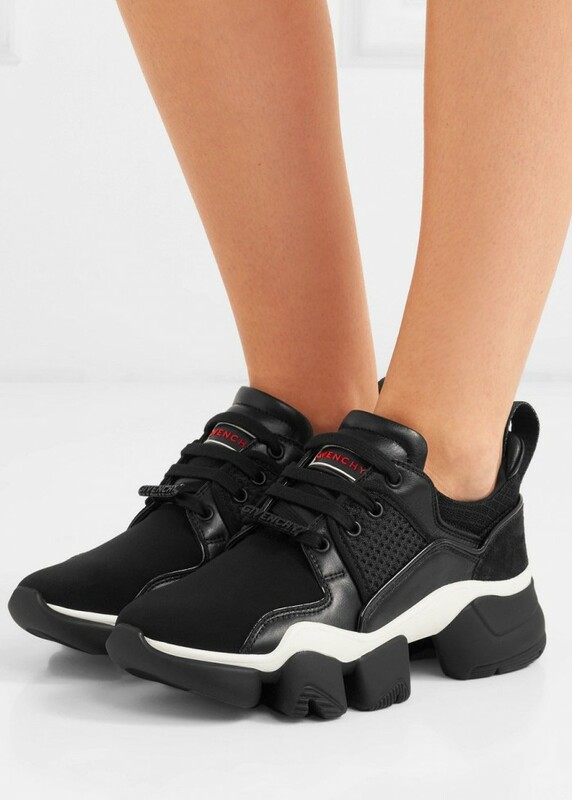 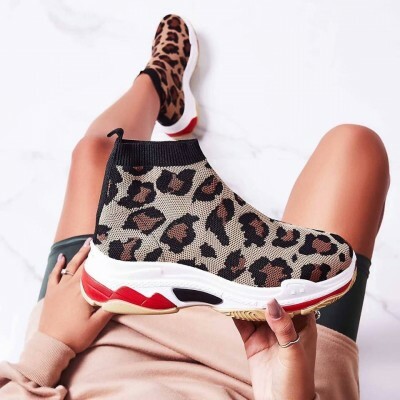 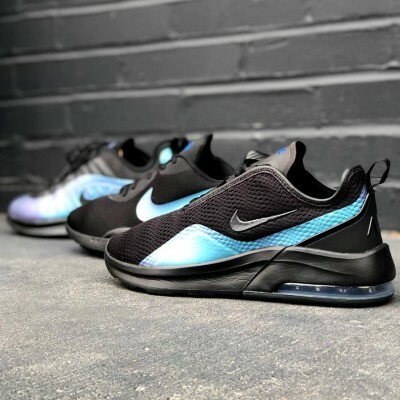 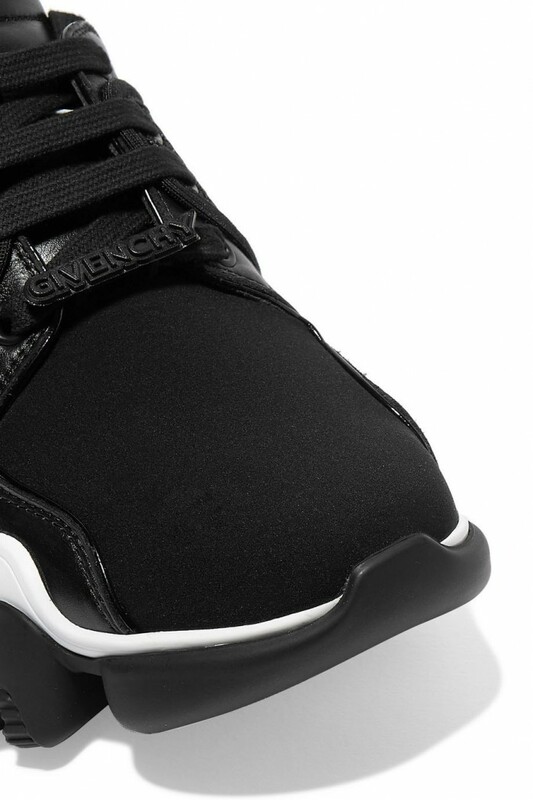 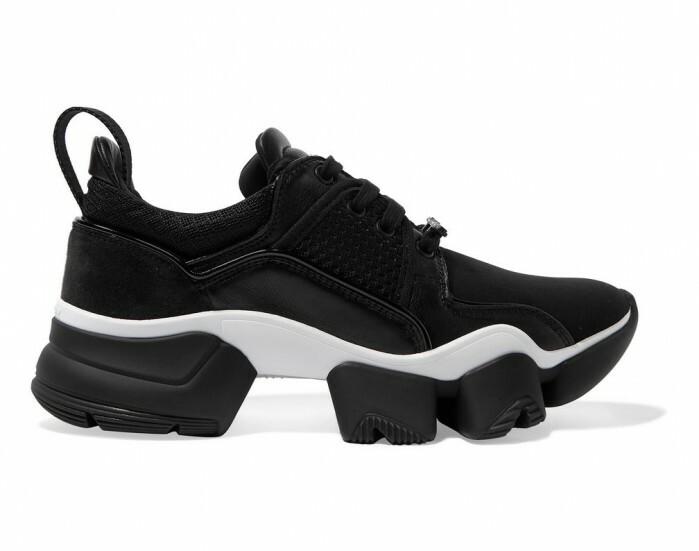 These ‘Jaw’ sneakers were originally spotted on the menswear Fall ’18 runway as Clare Waight Keller’s first Givenchy sneaker design – they were such a hit that she’s introduced them to womenswear this season. 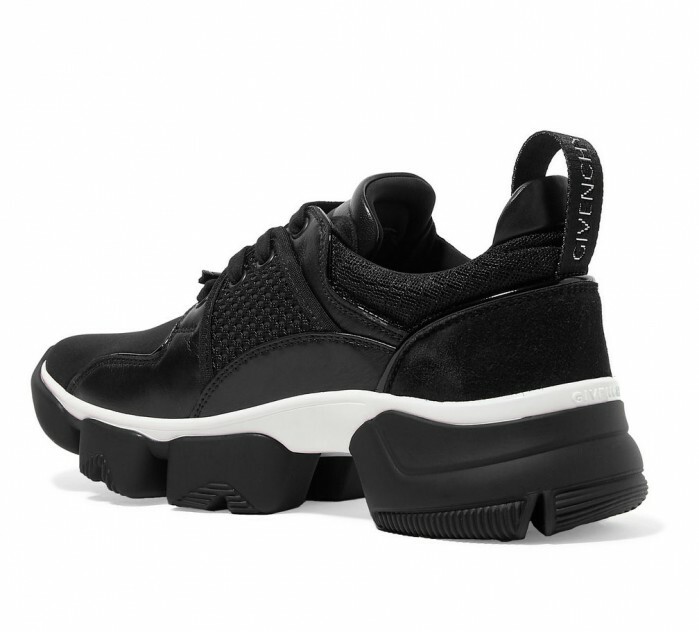 This black and white version is made from neoprene and leather trimmed with mesh and suede and detailed with a rubber logo. 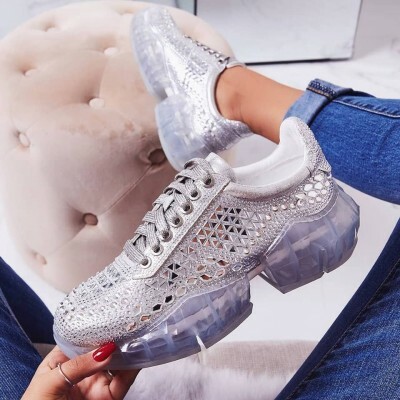 Wear them with everything from mini dresses to suits.